Oy. 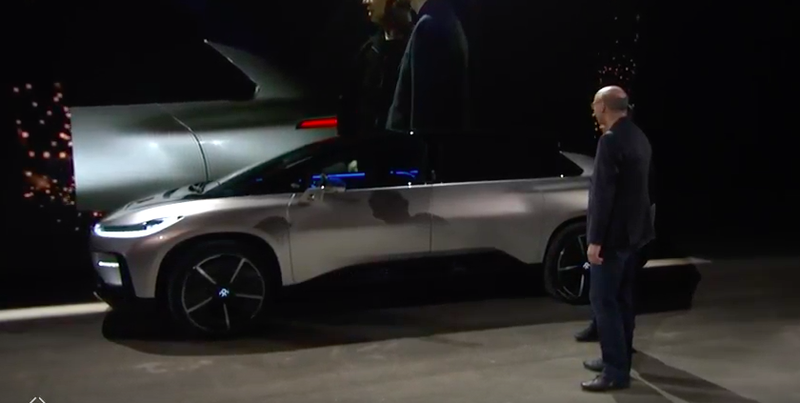 During a seemingly interminable presentation for the big Faraday Future reveal of its data-point named first production car, the FF 91, the company’s senior vice president of R&D and engineering, Nick Sampson, appeared on stage with the company’s main financier, Jia Yueting. Sampson asked it to park itself. It did not. Earlier this evening in the parking lot, the FF 91 executed an impressive-seeming autonomous three point turn and backed into its parking space outside. But inside, onstage, the second attempt was not so lucky. Sampson asked Jia to tap a button to engage its “driverless valet” function. Jia went for it, and then... nothing. It didn’t move. “It seems like it’s a little lazy tonight,” Sampson said. The stage did dim, and a technician got into the car to do some unseen work before getting out, closing the door and watching the car roll slowly in a straight line before coming to a halt. It probably rolled a good 20 feet before stopping in thee middle of the stage, to much praise by Sampson. Granted, the LIDAR-equipped FF 91 boasts some of the most impressive autonomous functions we’ve seen on a car to date, if they (and the car itself) can go to production. But clearly, it’s not without teething issues yet.